While travelling through Japan, I made a point of visiting off-the-beaten-path places. They gave me a unique perspective on the country. Imagining Japan as having places off the beaten path requires a bit of a mental stretch, so to speak. The country is well known for its dense population—125 million living in a size roughly that of California—but if you look at a map of Japan, the extremes of its territory are much more far-reaching, and the island nation stretches more than 1,000 miles. In addition to the thousands of islands which make up Japan, the country is very rugged with steep mountains that virtually isolate sections of the country from the major population centers along the Osaka-Tokyo corridor. Japan’s marvelous technology has helped bridge some of these gaps by providing improbable bridges and causeways which connect islands and tunnels boring through mountainsides. Still, the remoteness of some of the places puts them off the beaten path. Continue scrolling for details about each location! Just a stone’s throw from Tokyo in Shizuoka prefecture, the Izu Peninsula seems like a world away. Rocky shorelines and hidden coves are a highlight of this rugged peninsula. The numerous hot springs are a must visit as well. Although the climate is temperate the peninsula is virtually surrounded by the Pacific Ocean lending mildness to the climate. The peninsula is anchored by three small cities: Ito on the northeast coast; Izu, an inland town in the north, and Shimoda on the southeast coast. Atami, a seaside resort, often overcrowded because of its location closer to Tokyo on Izu’s northeast cost, might be a good starting point for a trip around the peninsula. Masuzaki, on Izu’s west coast, is smaller and more isolated, and it’s there that you will get a better sense of the region’s striking beauty: pine-studded sea stacks and islets along rocky shores and secluded coves. 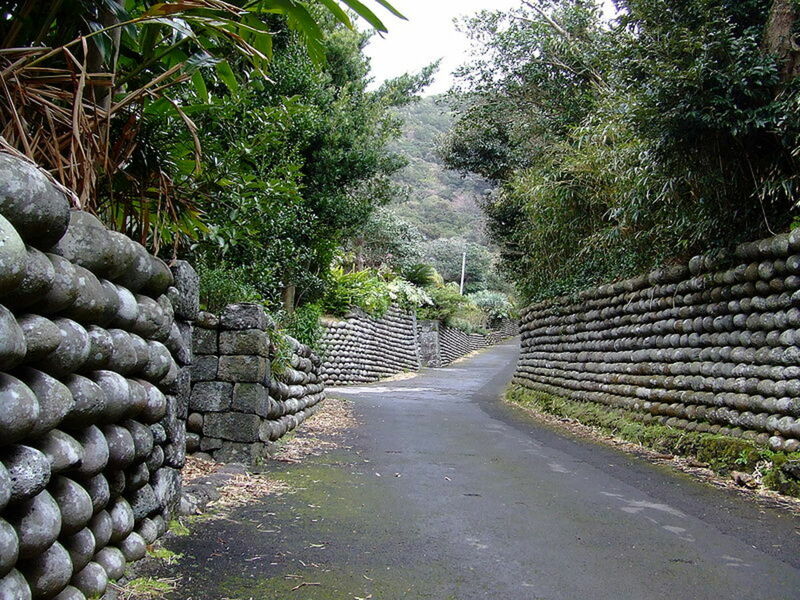 Twisting roads offer access to isolated villages with unique houses bearing Namako Wall designs. Aside from Izu’s stunning coastline, the peninsula boils from beneath and has a great collection of onsens, or hot springs, to choose from. 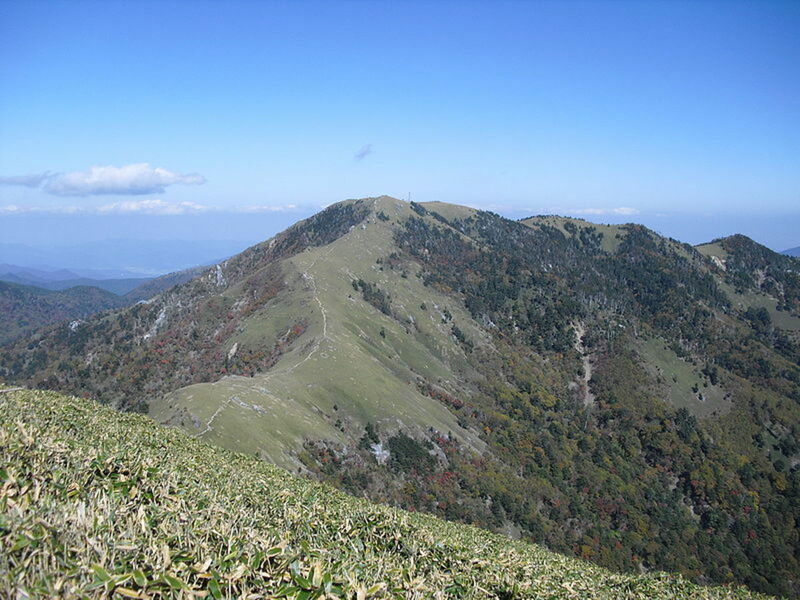 Amagi-san, or Mount Amagi, (1406 meters, 4613’), is the peninsula’s highpoint and also one of Japan’s 100 Famous Mountains. 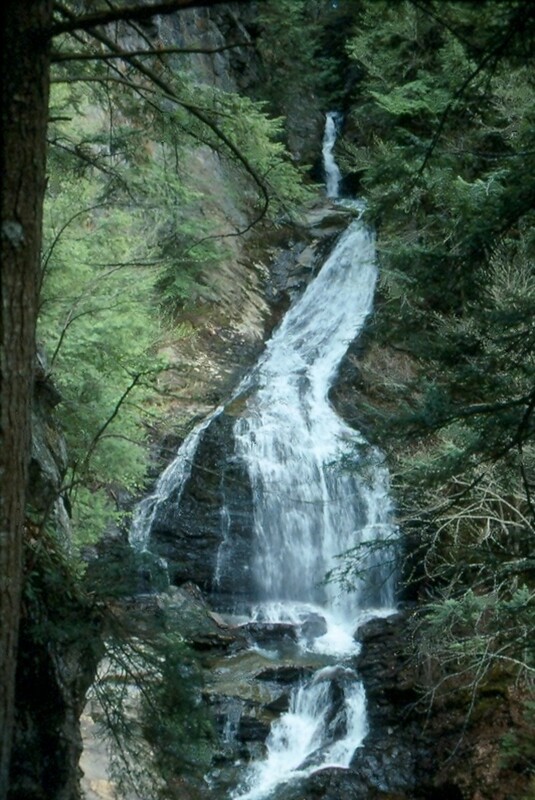 Hiking trails reach the top and a variety of flora such as Siebold’s beech, Japanese andromeda, and rhododendrons can be seen along the way. If you’ve seen the peninsula and still want more, try the Izu Shoto, the peninsula’s famous archipelago which reaches into the Pacific Ocean. Studded by volcanoes, many still fuming and venting, each island can be reached by scheduled ferry. Hokkaido is Japan’s largest and most northerly prefecture, and the island and prefecture are coterminous. Hokkaido, with some hyperbole, is to Japan what Alaska is to the United States. Nature is rife and steamy, snow-covered volcanoes and icy glaciers provide an idyllic backdrop for hikers, anglers and even the Eurasian brown bear (which live in abundance, here). The island-prefecture has a number of superb national parks and perhaps the centerpiece of these set aside to conciliate nature and tourism is the Daisetsuzan National Park, the island’s largest occupying a plot of land in the center. Its crowning glory is the island’s high point, a dormant volcano, Mount Asahidake (2290 meters, 7516’), or Mount Asahi. The park features snow-covered peaks, with patches that last throughout the summer, as well as cool summer time temps. Alpine wildflowers, waterfalls and of course, no shortage of onsen (hot springs) among which are Tenninkyo, Tomuraushi, and Daisetsu, and Aizankei. 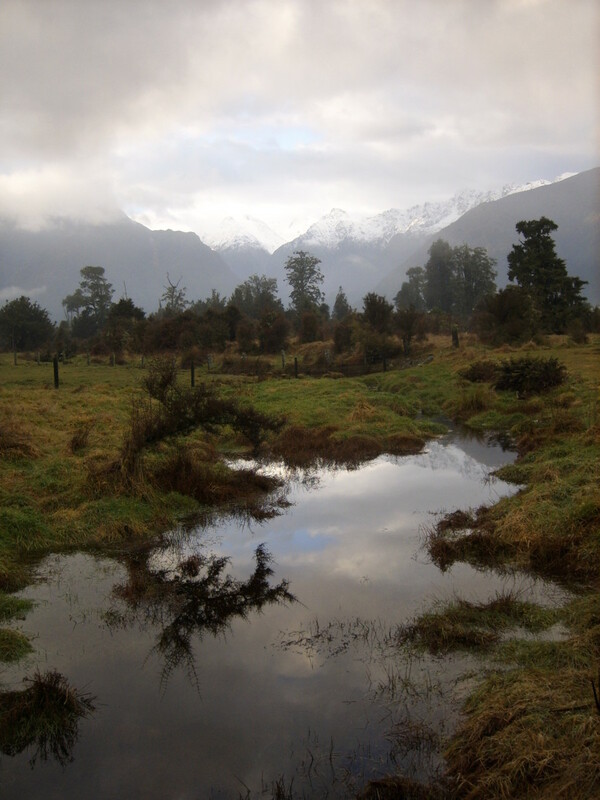 Campsites and youth hostels are located in the park but reservations are recommended at the former. 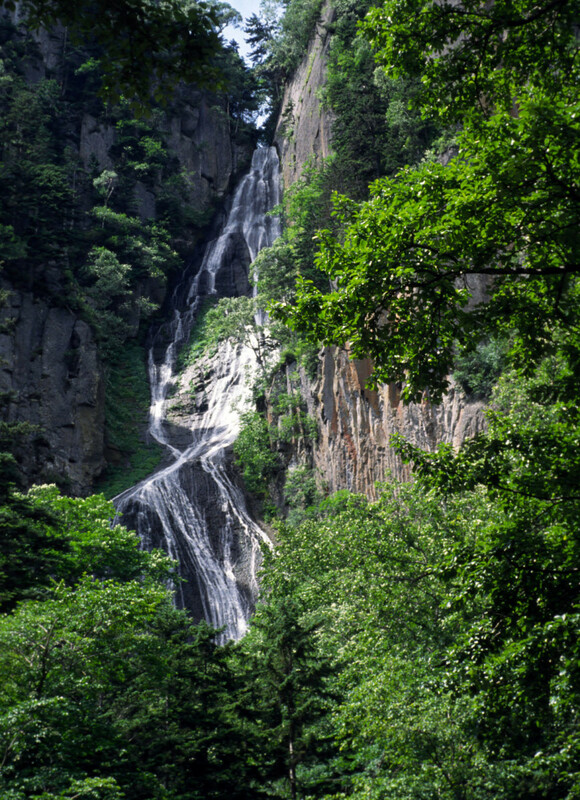 Come prepared to hike as that is the most popular activity and a good starting place is the village hub of Sounkyo which also has a remarkable waterfall and gorge carved from the soft volcanic rock. Typical of Japanese national parks, and this place is no exception, are cabled ropeways that distract from the wilderness feel. One can access this ropeway as a staging point for summiting Mount Asahi whose top is reached after hiking through alpine meadows, stunted pine, and virgin forests. In season are beautiful alpine flowers and swarms of mosquitoes. Best way to access the park is by car. Western Honshu’s Sea of Japan coast is not often visited by the outsider. Matsue, in Shimane prefecture, just might be its hub if it were but it’s probably better that some places stay off the beaten path. If you find yourself in Matsue, its castle is one of only 12 to have survived World War II or natural disaster in its original form, or as close to its original as it gets. Known as the black castle or plover castle, it was built between 1607 and 1611 as were most of the country’s great castles, but unlike the others, it survived, or at least its 95-foot keep did. The rest was destroyed in 1875 during Japan’s great age of self-imposed castle deconstruction following the Meiji Restoration, ergo modernization. 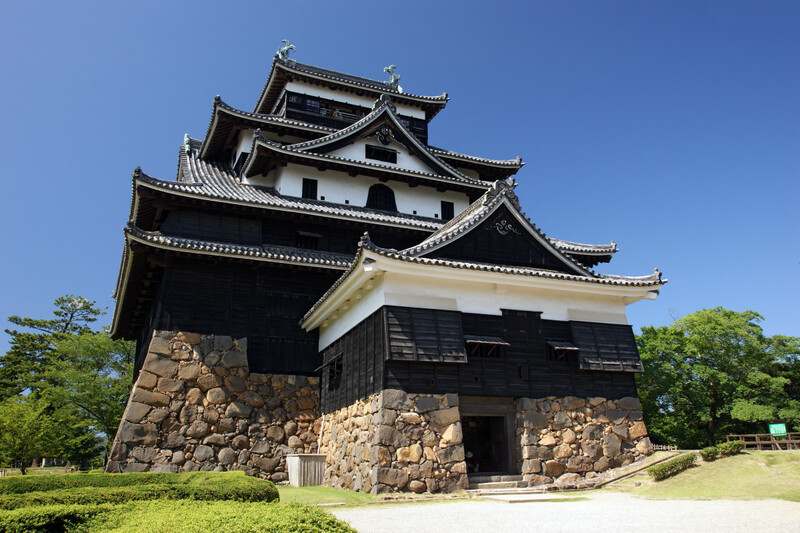 Its sheer moat walls accent the bold black keep with its iconic simple stylized roof unique to Japanese castle architecture. Seventy kilometers north of Matsue are the Oki Islands, or Oki Shoto, accessible by ferry. The two largest islands are Dogo and Dozen which support between them no more than 25,000 people. Farming villages and rustic roadside shrines are commonplace on these far-flung rugged volcanic islands. 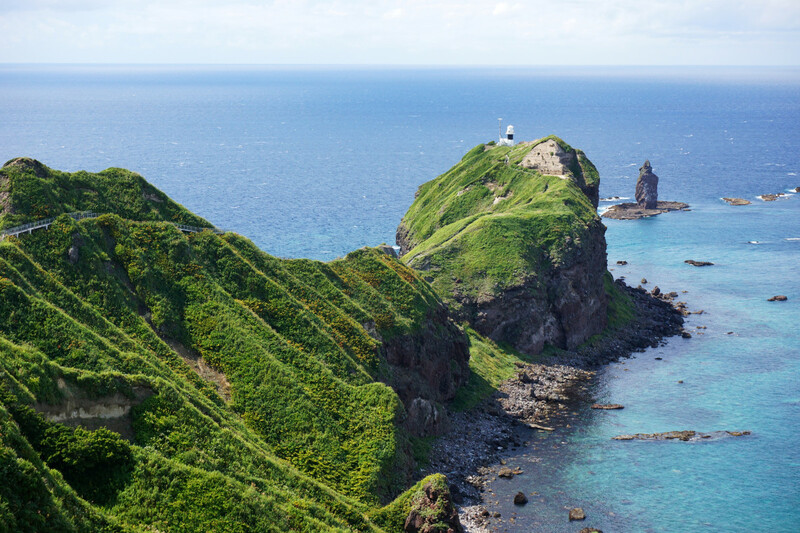 Life is sleepy and laid back among the 16 main islands of the Oki Shoto. 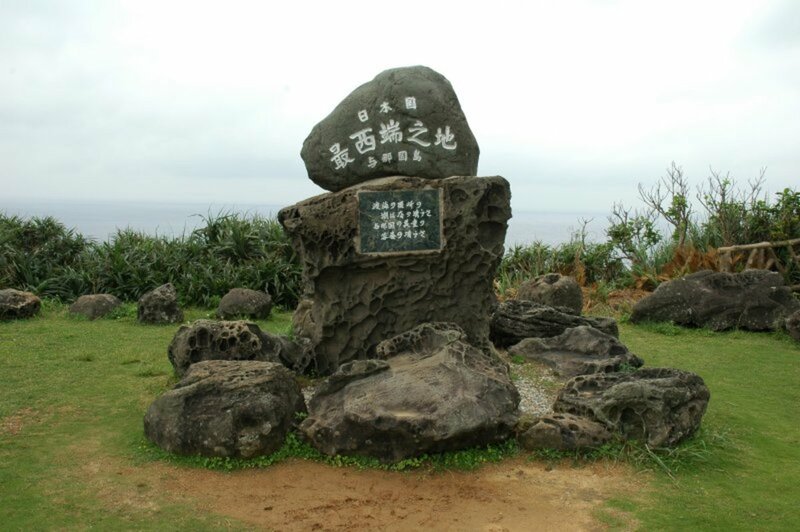 The highest peak on the islands, Damanji-san (608 meters) on Dogo, is part of an extinct caldera. Like many other islands in Japan, the Oki’s functioned as a penal colony in ancient times but don’t let this distract you from the unique natural phenomena the islands offer such as the Oki Rhododendron, endemic to the islands, and the most northerly limits of coral growth on this side of Japan. Located in the Sea of Japan in Niigata Prefecture, Sado Island is the sixth largest island of Japan, covering an area of 330 square miles. Well known for its rich history, the island became a penal colony for Japanese exiles as early as the 8th century. 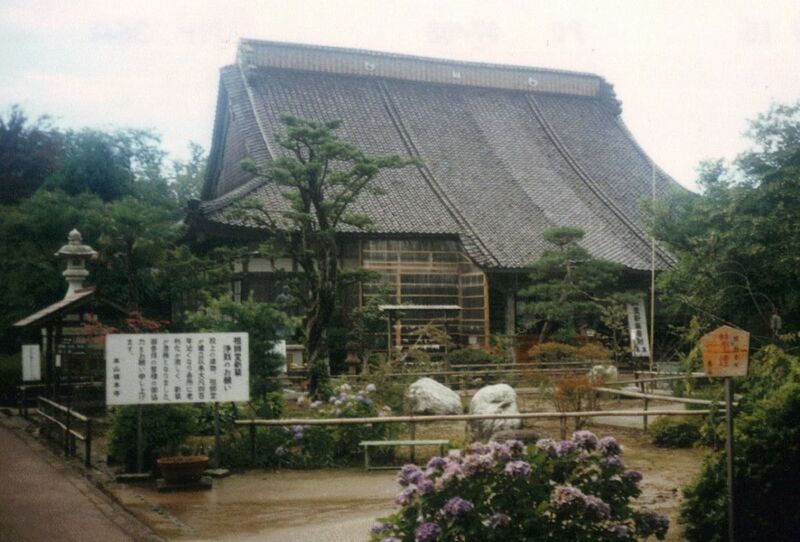 Nichiren, the famous Buddhist monk, also made the island his home for a few years in the late 13th century. Later, a gold discovery allowed the island to prosper beginning in 1601. Today the island is known for its tourism and has some remarkable temples as well as ruins. Best known on the island are the Myosen Ji, Konpon Ji, and Jisso Ji temples. The island is famous for the Japanese Crested Ibis, a symbol that marks the island’s tourism, and where the bird still nests. The residents of Sado are world-renowned for their Taiko drumming which draws thousands to the island. Today the island’s population (63,000) is nearly half of what it was in 1950, and more than one-third of the residents are older than 65. 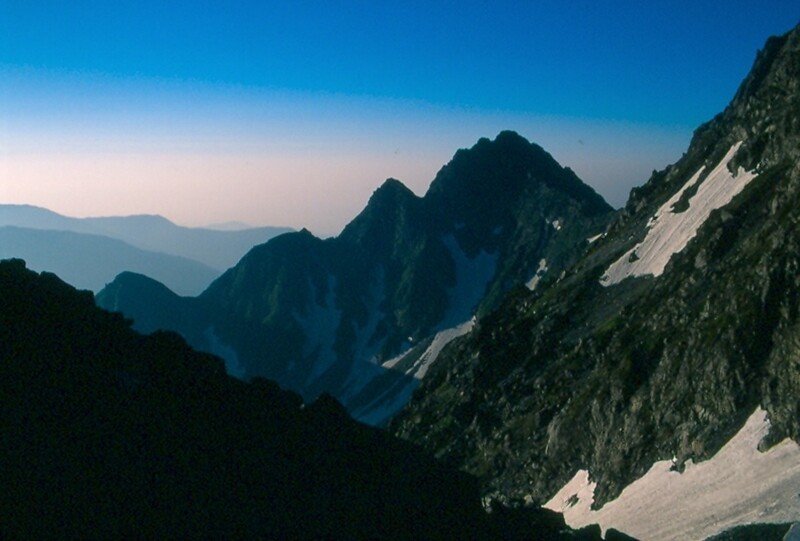 The Kita—or North—Alps are the most rugged of Japan’s bands of alpine mountain chains. Getting to them is a little more difficult and requires a number of train trips or, if by car, drives along narrow isolated roadways. The main center for the Kita Alps is the town of Kamikochi, which sits at the base, more than 5,000 feet below, of Japan’s third tallest mountain—Hotaka-dake (3,190 meters, 10,466 feet). Famous and popular as a base for hiking and trekking, Kamikochi is also well known for the Azusa River, which has some of the most remarkable shades of cobalt blue waters. A footbridge crosses over the river and trails fan up towards the multi-summits of Hotaka-dake. 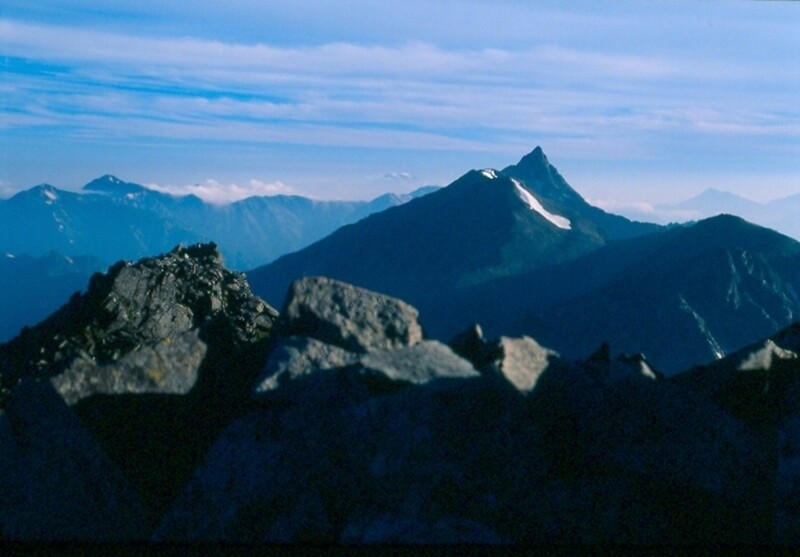 It was here that the Englishman and missionary, Walter Weston (1860–1940), first realized the potential of Japan’s fine alpine collection of glacially-scoured peaks, and in 1886, he started exploring Japan’s high peaks in this region. There is a monument to him nearby. If mountaineering is not your thing, or if heights make you dizzy, the best walk is to simply follow the well beaten trails up river. If you choose to hike and climb,Japan’s Daikretto, or most famous arête, is tantalizing but not for the faint-of-heart. Other well-known mountains in the include Yari-ga-take (3180 meters), or Mount Yari (Spear Mountain), Japan’s fifth tallest peak. The mountains are well equipped with a well-provisioned system of mountain huts. The best approach to the Kita Alps is from the city of Matsumoto in central Japan. Japan is best known for its flashy neon, post-modern architecture, and concrete-heavy cities. With few exceptions, little exists of an older Japan where traditional architecture remains. Two of these exceptions can be found in the mountains of Japan, where traditional village huts populate the narrow valleys. Shirakawa and Gokayama villages, both UNESCO World Heritage Sites, in Gifu and Toyama Prefectures respectively, are arguably among Japan’s most treasured collections of buildings. Very much off the beaten path, the two villages are located in the mountains on the west side of the country far enough away from the well-populated eastern megalopolis. Shirakawa is located near Takayama and sits in the shadow of the sacred mountain, Haku-san, or Mount Haku (2,702 meters), one of Japan’s Three Holy Mountains and also a dormant volcano. 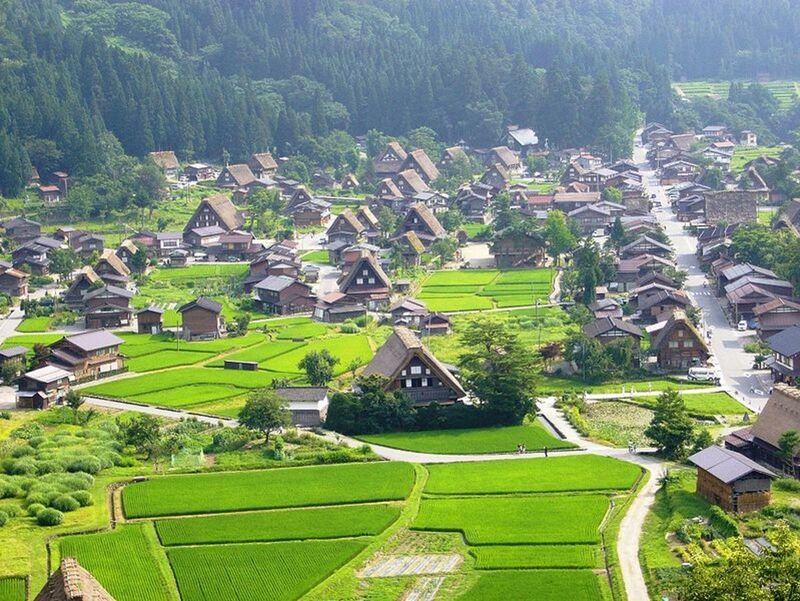 The houses of Shirakawa are built in the traditional style called minka, or gassho-zukuri, which covers a broad range of traditional buildings including farm, merchant, and artisan houses. The signature A-frame houses are also not coincidental, as this area of Japan receives the country’s heaviest snowfall in the winter. Some of the houses of these villages are older than 300 years, and it was the villages’ isolated locations that allowed them to survive. 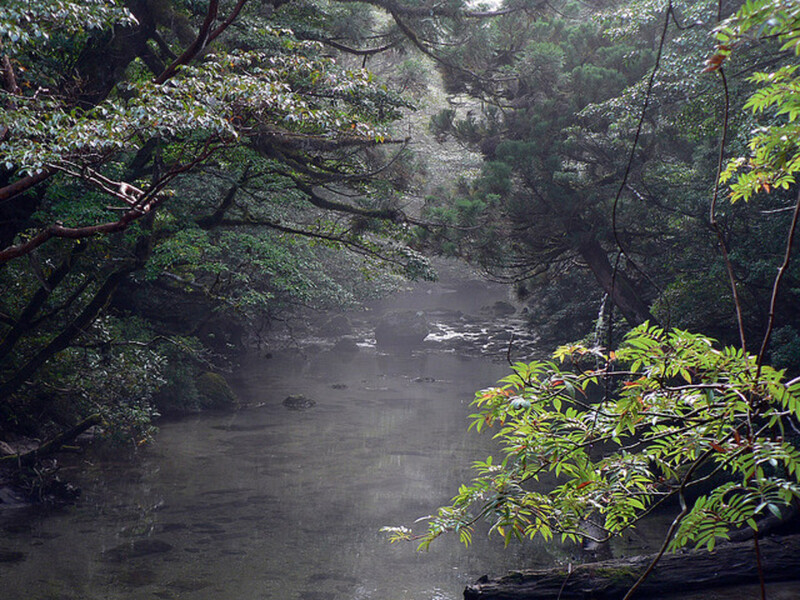 Like a mysterious island that rises from the middle of the ocean, Yakushima resembles something from Jurassic Park. It’s the mountain that gives the island an extra punch and makes it one of the great unspoiled and natural features of Japan and arguably as unique a place the world over for the biodiversity and geological forces which have shaped this almost-circular island just south of Kyushu. The island’s natural qualities make it one of the world’s outstanding UNESCO World Heritage Sites; huge old-growth Cryptomeria trees, or sugi, populate the slopes of the mountains found in the island’s center. Crowned by the tallest, Miyanoura-dake (1935 meters, 6360’), the island’s high peaks are Japan’s southernmost location for receiving snowfalls and the island receives the most precipitation in the country which accounts for the verdant foliage. Surprisingly the mountains on this island are not volcanic but a granitic type that is famously weather-resistant to the forces of erosion. Located at 30 degrees north latitude, the island sits on the climatic boundary between temperate and sub-tropical with temperatures ranges that run the gamut depending upon the elevation. While loggerhead turtles famously use the island for nesting, the skittish Japanese macaque populates the slopes of this island. A ferry ride of a couple hours will get you to this island from Kagoshima, which is visited by about 300,000 people per year. It is not to miss for anyone who spends time in Japan and who enjoys solitude. Arguably one of the most isolated areas in Japan on the least visited of Japan’s big four islands of Shikoku, the Iya Valley is an idyllic, narrow valley crowned by mountains which was virtually closed to the outside world for a thousand years. The deep gorges which guard this valley made this a famous place to hide during Japan’s medieval period—the 12th century, to be precise. It wasn’t until about 1920 that the outside world was allowed to get a peek when the first road was built. 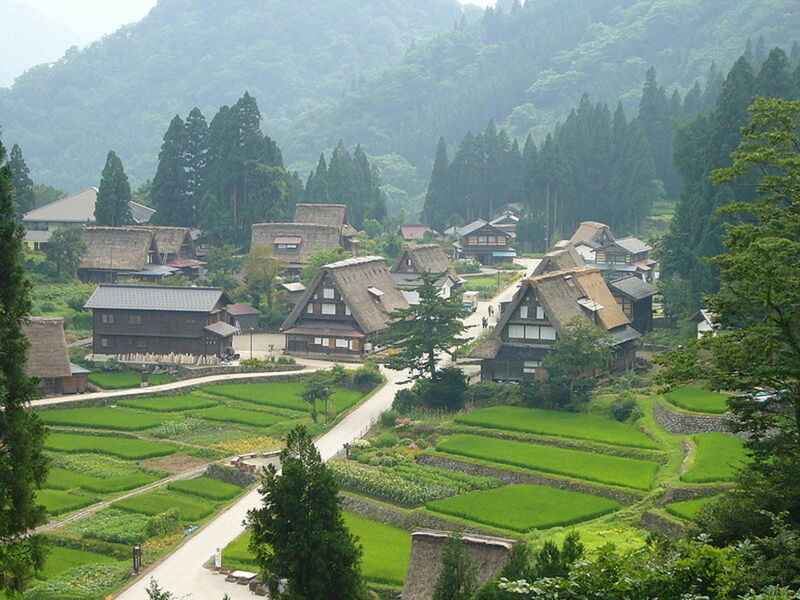 Even today the local villagers refer to outsiders as if they were foreigners, regardless if they are fellow Japanese. “People from below” is what they are called from this mystical place which is overlooked by the second highest mountain on the island—Mount Tsurugi. 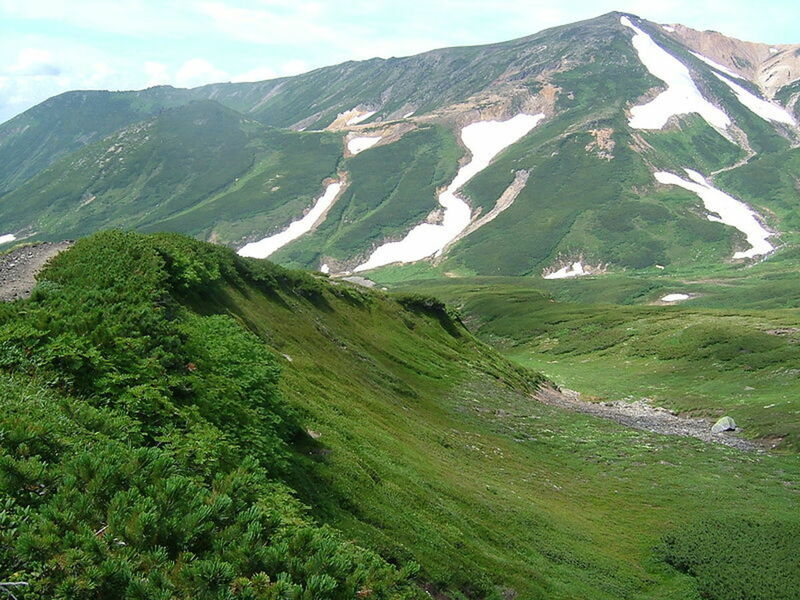 At 1,955 meters (or 6,413 feet), this sculpted peak is on Japan’s revered list of 100 Famous Mountains. The best access, if only, to the Iya Valley, is from the town of Ikeda, almost the dead center of Shikoku. From Ikeda, you can travel on the Iya Kaido road. 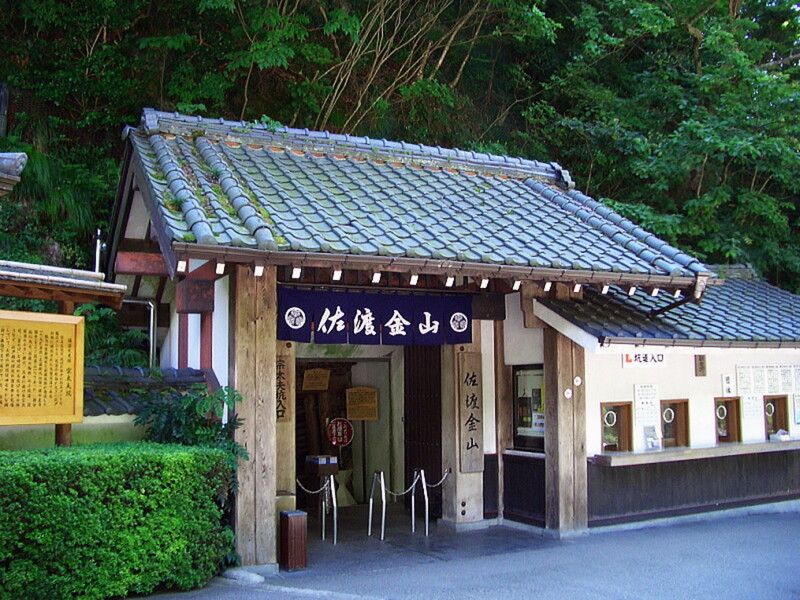 Along the way, you will pass the Iya Onsen, a spectacular location in the gorge, to take in the thermal waters. Eventually you will come to the Kazurabashi, the vine bridge. 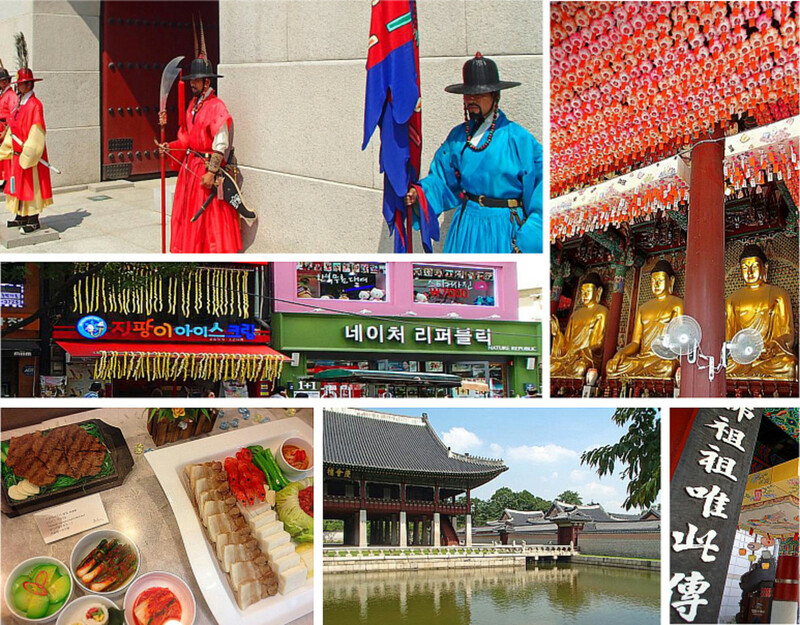 Although touristy in places, the setting is beautiful and not without cultural and historical merits. If you continue past the bridge, you are one of the few who will reach the village of Tsurui. Thatched-roof houses are telling of the remoteness of this place. The road goes farther up, eventually ending on the sacred slopes of Mount Tsurugi. The Ogasawara Islands, or Bonin Islands, is an archipelago which stretches southeast of Tokyo for almost 2000 kilometers. The farther south you travel, the less inhabited they become. The chain continues southward towards Iwo Jima, the site of perhaps the most famous battle of World War II in the Pacific theater. 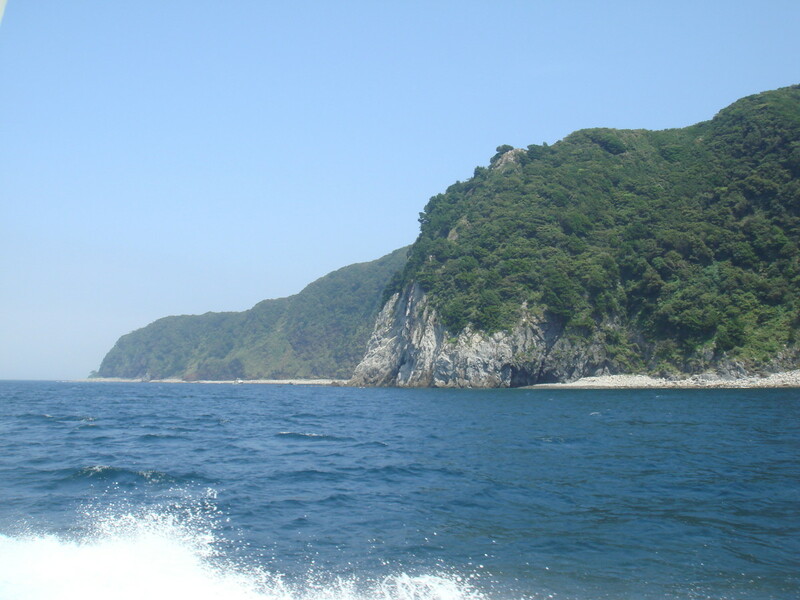 Most of the islands are included in the Ogasawara National Park, which protects these beautiful, remote volcanic islands and the collections of endemic species which live on them and in the adjacent ocean waters (among the most famous of which is the critically endangered Bonin flying squirrel). 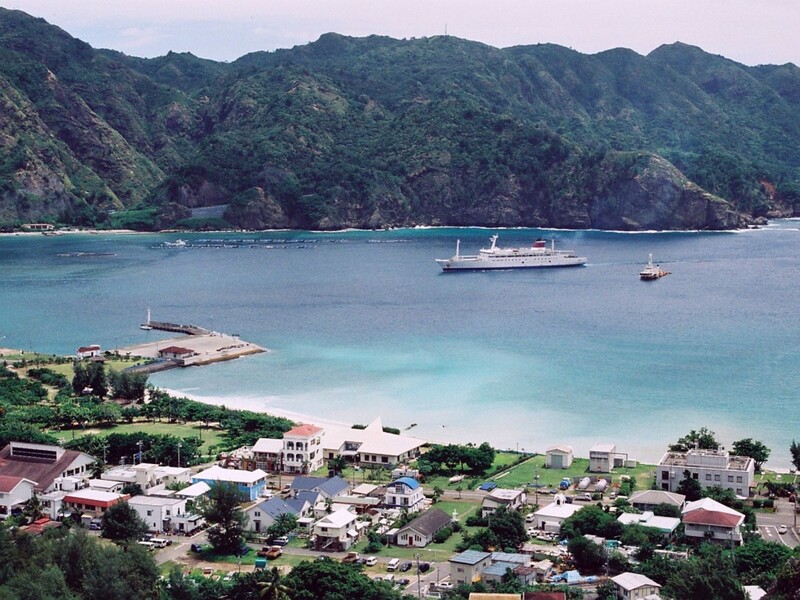 The best possibility for travel to these subtropical and tropical islands is by ferry, which has limited service at best, but stops at islands which are inhabited mostly by small farming and fishing communities. Of the thirty-odd islands in the chain, only two support permanent populations; between Chichi-jima and Haha-jima there are 2,400 people. Located only 108 kilometers (67 miles) from Taiwan, it is possible to see the faint outline of Ilha Formosa on clear days from one of the most remote, but still inhabited, islands in Japan. Yonaguni sits at the far western end of the Yaeyama Islands in the farthest corner of Okinawa prefecture. Ferry service regularly plies the occasional visitor and one of less than 1,700 permanent residents to and from larger towns among other Yaeyama and Ryukyu Islands. If you find yourself lucky enough to visit Yonaguni there are no shortage of things to do on this 11-square-mile island. The most popular attraction is 70 feet beneath the waters just off the southeast coast of the island. The mysterious underwater “ruins”, perfectly cut into rectangular shapes, defy nature’s laws of erosion. There is great speculation as to what they are, but more than likely, they are a naturally fractured rock formation. A dive requires experience with scuba equipment. While you are underwater, Yonaguni remains a great place to view hammerhead sharks. Other attractions include a visit to Japan’s western-most point, marked by a monument at Cape Irizaki, and don’t forget a side trip to the brewery for the island’s famous hanazake, a 60%-alcohol rice-based awamori, or sake. Sam - you and me both. Appreciate your comment! 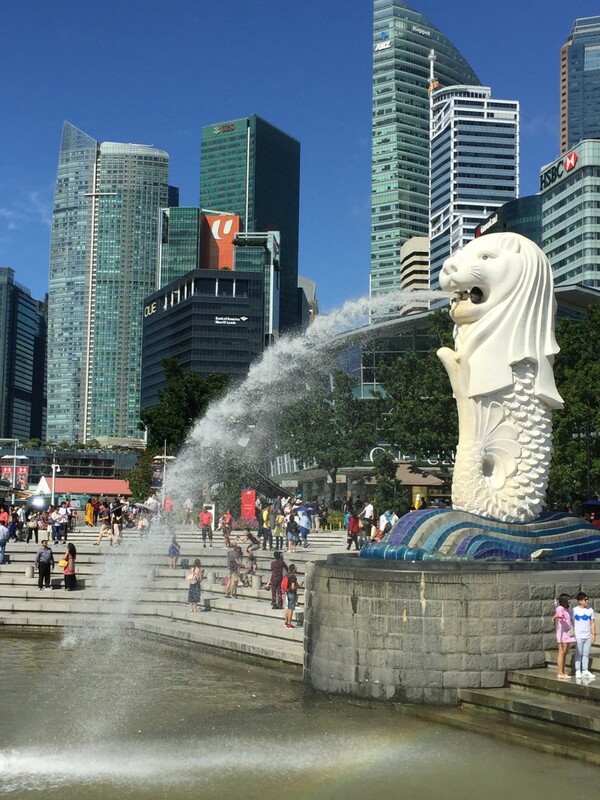 CYong - indeed, great places to go and worth any effort to get there! These places do take some time to get to from the main cities. But judging by the pictures, they feel much worth it. They are all worth it. Best of luck! Some of these places I may have to see when I go visit Japan! Pamela-anne - thank you kindly for your nice words and for visiting my hub. I hope to get back to Japan one day and explore more of the country. Always something new to discover there after you thought you saw it all. Great info on Japan love the pics - my 17yr old niece recently went on a school trip to Japan she had a great time. I wrote and hub about a sushi-chef there - I told my niece if she saw "Jiro Ono" to hi for me! 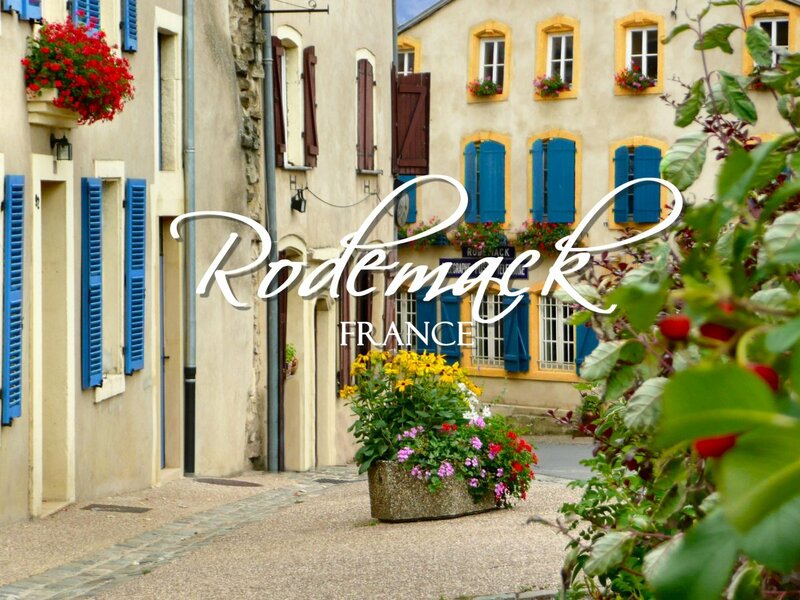 Thanks for sharing the well researched info love the little villages and national park- lovely! Katelyn - appreciate your thoughts on Japan in general and my hub in particular. Thank you for visiting. Elias - many thanks for visiting and taking interest in my hubpage on Japan - a fascinating country! Great hub and really interesting list! The photograhy is quite beautiful! Thanks for sharing. Creativeaqua - I would like to visit again sometime soon and do more hiking as well. Thank you so much for reading and taking an interest in a niche subject! Japan is definitely one of the top places I want to visit this lifetime. Was just reading an article about hiking the Japanese Alps. Incredible and must-do. 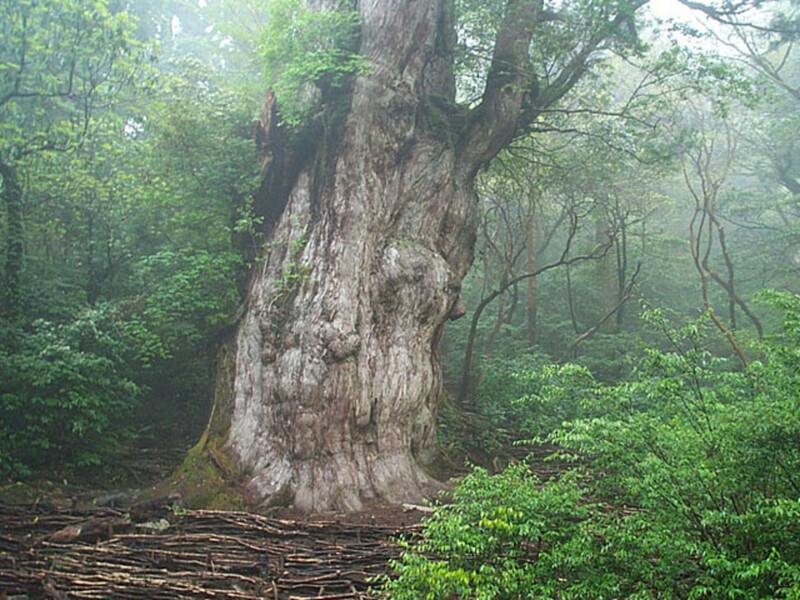 Yakushima is unique not only to Japan but unto itself. Indescribable! I always wanted to go to Yakushima when I was living in Japan, but never quite had the time. beachbumaxp - I hear you. Until I go back the only way I can fight my addiction to Japan is to write about it. Thanks for reading. Wonderful stuff! Very informative and the pictures just make me want to get back to Japan ASAP and see stuff outside of Tokyo. I really enjoyed this. Voted up!